The mornings are looking a little more summery now, and my mind is jumping ahead to dresses, sandals and barbeque's! 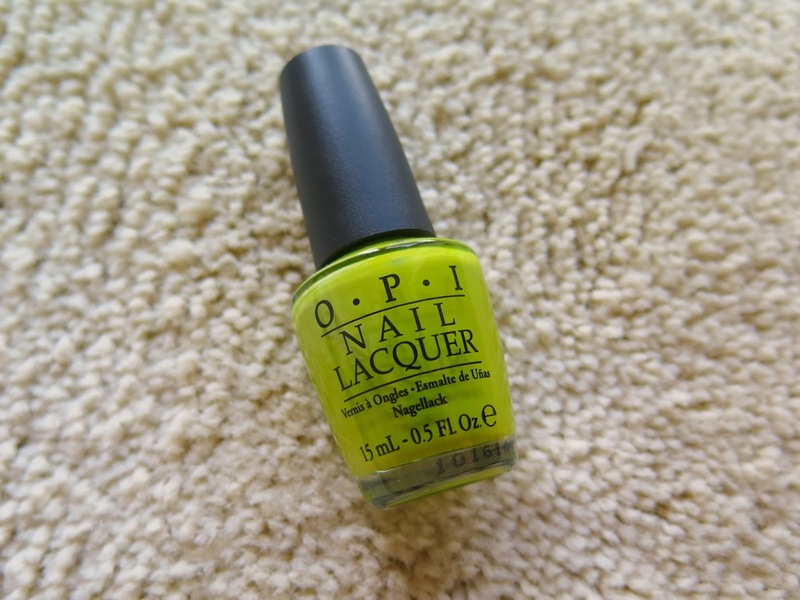 Alas it's not quite warm enough for any of those yet but any time is time for bright sunny nails! Acid green is everywhere at the moment, which makes me very happy. As a early teen I was obsessed with lime green, I had clothes and shoes in the colour and even painted my bedroom an eye watering shade of neon lime and I loved it (still do actually, and could be easily convinced to paint a room that colour again haha!) I know it's a bit of a marmite colour, love it or hate it, you can find it in all the shops! This crazy bright shade will always have a special place in my heart and it makes me think of summer, holidays, cocktails and BBQ food which all make me very happy indeed. 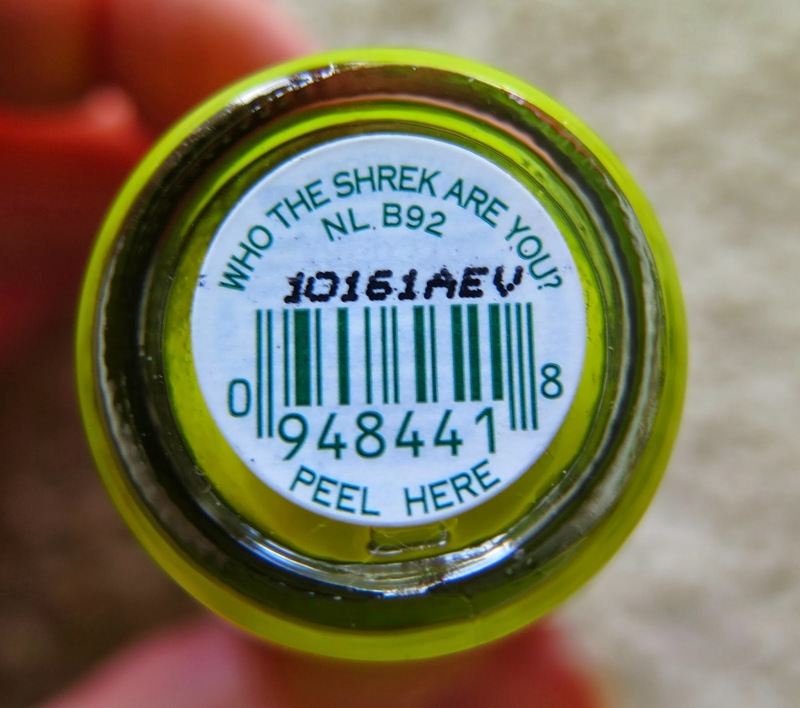 The day I spotted "who the shrek are you" by OPI, I knew I had to have it, even if other people would question my fashion sense wearing such a garish colour on my nails, I knew I wanted it and no one was going to tell me otherwise. Aren't I happy I got it now, it's the height of fashion at the moment and I can wear until my hearts content. And girls you need to jump on the acid green bandwagon asap because it's not a colour that be on trend for long, as much as it saddens me to say. This colour is hot right now but it's not classic at all and will be gone in a flash, just as fast as it arrived on the scene. So make the most of it while you can, and go get your shrek on!! Doesn't it evoke thoughts of margarita's and fresh lime wedges to squeeze over grilled seafood! I can almost taste the summer just by looking at this polish.